Trudy Chalmers graduated from Capilano University with a diploma in music, and since then has gone on to forge a reputation as an opera producer. Since starting Opulenza in 2014, Trudy has directed two fully-staged productions, with two more in the planning stages, along with numerous concerts and recitals. A soprano herself, Trudy has sung in many local productions, most recently tackling the role of Giulietta in Offenbach’s “Tales of Hoffmann”. In addition, she teaches singing, works in silversmithing, and is an arts administrator at Emily Carr University. She is dedicated to inspiring both audiences and singers alike to discover, and rediscover, the riches of opera. Roger Parton studied composition under Wolfgang Bottenberg (Concordia University) and piano with Laurie Altman (Concordia University) and Alice Enns (UBC). He has extensive experience across the Lower Mainland as a répétiteur, and works as an associate coach with City Opera Vancouver, most recently doing double duty as rehearsal pianist and orchestral musician for the world premiere of Brian Current’s “Missing”. When not coaching singers, he composes. Nadine Cornelius was born and raised in South Africa where she was involved in music from a very young age. She sang with the South African National Youth Choir and toured across the continent performing and recording with African chamber groups in various movie soundtracks, chamber concerts and competitions. She has performed with many renowned South African artists including Lebo M, The Drakensburg boys choir and Katlego Maboe. It was only when she moved to Canada that she started studying opera under world renowned dramatic soprano Frances Ginzer, and went on to sing with the Calgary Opera Chorus for many years. Title roles include Maurya in Riders to the Sea and the Old Maid in Menotti’s Old Maid and the Thief with Mount Royal University, as well as small mainstage roles with Calgary Opera throughout her time with the chorus. Most recently Nadine has been involved in productions with Opera Opulenza, Burnaby Lyric Opera, and Heroic Opera. Jim is a long-time singer in symphonic and opera choruses. He has recently been seen in lead, minor, and chorus roles in I Capuleti e I Montecchi, Norma, Nabucco, Macbeth, and Lucia di Lammermoor with Opera Pro Cantanti. He has also sung with the Vancouver Bach Choir, ever since they had him at “Mahler’s 8th Symphony” in 2009. Earlier he sang with UBC Opera in B.C., and with the San Francisco Symphony Chorus, Opera San José, West Bay Opera, and South Valley Opera in California. Julia Fox has been singing with opera companies for 9 years now and with choirs ever since she can remember. She began her operatic path with the Young People’s Opera Society of British Columbia where she started as a chorus member but worked her way all the way up to the titles roles in Humperdinck’s Hansel and Gretel and also Pandora’s Box. Within the last couple of years, she joined Burnaby Lyric Opera where she was part of the chorus in Flowtow’s Martha, Paggliacci by Leoncavallo and most recently Puccini’s La Bohème. During her time in the Burnaby Central Chamber Choir they were awarded the Jean Beaty Memorial award in the Kiwanis Music Festival. When she isn’t singing, she works as a piano teacher, French tutor and rock climbing coach as well as an actor in plays, commercials and movies. Andrew Greenwood has been praised internationally for his rich baritone and superb portrayals on European and North American stages. At home equally in opera and in oratorio, he brings elegance and panache to dramatic and concert stages here and abroad. Andrew’s recent engagements include the “Four Villains” in Offenbach’s “Tales of Hoffmann” for Opera Opulenza; Frank in Die Fledermaus for Vancouver Opera; Amonasro in Aida for the Stadttheater Hildesheim; Zuniga in Carmen and The Doctor in Samuel Barber’s Vanessa for Pacific Opera Victoria; the title role in Rigoletto for the Stadttheater Hildesheim and the Stadttheater Wolfsburg; the roles of Prince Yamadori and The Imperial Commissioner in Madama Butterfly for Vancouver Opera; the role of the Emperor in Der Kaiser von Atlantis for City Opera Vancouver; and guest appearances with UBC Opera in the title roles of Falstaff and Eugene Onegin. Thomas Lamont is an up and coming tenor from New Westminster. He delights in performing across the lower mainland in a variety of styles including opera, jazz, and musical theatre. Some of his recent engagements include Almaviva in Rossini’s Il barbiere di Siviglia with Burnaby Lyric Opera, soloist for Buxtehude’s Membra Jesu Nostri with Early Music Vancouver, Tamino in Mozart’s Die Zauberflöte with UBC Opera, soloist for Handel’s Messiah with the Chilliwack Symphony Orchestra, and soloist for J.S Bach’s St. John’s Passion with the UBC Symphony Orchestra. Thomas is looking forward to performing in the ensemble for Vancouver Opera’s production of Rossini’s La Cenerentola, running from April 27th until May 12th. Currently Thomas is completing a Bachelor’s of Opera Performance at the University of British Columbia studying under lyric baritone Dale Throness. Peter Monaghan is a recent graduate from the Yulanda M. Faris young artist program with Vancouver Opera. Recently Peter played Antonio/Figaro understudy for Vancouver Opera’s production of Le nozze di Figaro. Some of his most recent credits consist of: The father, Hansel and Gretel; Beast, Beauty and the Beast; Peter, Company; Don Pedro, Béatrice et Bénédict; and Colline, La Bohème. Up next he will make his debut with Opera Kelowna as Colline in La Bohème. Peter is also excited to debut with Opera Opulenza, and thanks his wife and family for their never-ending love and support. Soprano Elaina Moreau received her training at the University of Toronto, the San Francisco Conservatory of Music, and the Aspen Opera Theater Center. She is currently a member of the Vancouver Opera Yulanda M. Faris Young Artists Program for the 2017/2018 season. Recently, Moreau sang the role of Gianetta in Vancouver Opera’s L’elisir d’amore, Olympia in Les contes d’Hoffman with Opera Opulenza, Young Ava/House in the acclaimed world premier of Rocking Horse Winner with Tapestry Opera in Toronto, the role of Second Soprano in City Opera Vancouver’s The Lost Operas of Mozart, and the title role in L’incoronazione di Poppea with the Trentino Music Festival in Mezzano, Italy. Other credits include: Susanna in Le nozze di Figaro, Dalinda in Ariodante, Dew Fairy in Hansel and Gretel (all with San Francisco Conservatory of Music), Pamina in Die Zauberflöte (Lyric Opera Studio Weimar and ViVace), and Secretary in a workshop performance of The Overcoat (Tapestry Opera). Moreau is a three-time District Winner in the Metropolitan Opera National Council Auditions (2011, 2014, and 2016) and represented Canada in the VII Mirjam Helin International Singing Competition in 2014. Elaina was named a 2017 laureate of the Jeunes Ambassadeurs Lyriques, and was selected by the JAL to represent Canada in the semi-final round of the Riccardo Zandonai Concorso Internazionale in Riva del Garda, Italy. Mark Pepe, operatic tenor, holds a Bachelor of Music in Opera Performance and Music Education, and a Bachelor of Education from the University of British Columbia. His last appearance with Opera Opulenza was as Turridu in Mascagni’s Cavalleria Rusticana. Recent appearances include the leading role of King Gustavo in Giuseppe Verdi’s Un Ballo in Maschera with Opera Mariposa and Heroic Opera, concert performances in Milan and Busseto, Italy with Operavision Academy, as the tenor soloist in Mozart’s Mass in C minor with Capilano University and the West Coast Symphony, Morales and Dancairo in Georges Bizet’s Carmen with Burnaby Lyric Opera, Don Basilio in Mozart’s Le Nozze di Figaro with Vancouver Island Opera, and recently joined the Vancouver Opera Chorus in Giacomo Puccini’s Turandot, Giuseppe Verdi’s Otello, and will appear in Tchaicovsky’s Eugene Onegin this spring. He has also appeared with Opera Nuova, Vancouver Academy of Music, the UBC Opera Ensemble, University of Victoria Symphony and Chorus, and at Bard on the Beach. He is a music teacher, choir director, and concert band director at Our Lady of Sorrows Elementary School and at Immaculate Conception Delta Elementary School. Talia Rayne, soprano, has been studying opera since she was six years old. Ever since she took her first voice lesson, singing has been her love and passion. She is currently based out of Bellingham, Washington, and has sung in various companies on the West Coast, in Canada, and in Prague, including Opera Opulenza, Fresno Grand Opera, and Prague Summer Nights. Previous roles include Santuzza in Cavalleria Rusticana and Nelia in Gianni Schicchi. She is thrilled to be performing for you tonight and hopes that you enjoy the show! Possessing a warm, rich and sizeable voice, Shadan Saul, has sung the roles of Mimi in La Boheme, Rusalka, and the title role in the Merry Widow. Ms. Saul’s stage presence has taken her to many stages and concerts around the world, including the VSO and the Czech Civic Orchestra. Praised for her sound, “reminiscent of the golden age of opera and the most famous sopranos” (Richard Gaddes, MONC 2014), has had the honour of studying under some of the best singers and teachers of our time amounts them are: Manuela Agueda, Mirella Freni, Ruth Falcon, Virginia Zeani, Heather Thomson, Montserrat Caballe and tenor Melvyn Poll. Shadan has also recently made her debut with Opera Kelowna and is looking forward to making her debut with Opera Opulenza. Acclaimed for his sensational interpretation as lead in the world premiere of Stickboy with Vancouver Opera, Sunny Shams is known for his beautiful, rich, velvety and expressive tenor voice, and his dramatic connection with the characters whom he portrays on stage. Starting piano lessons when he was eight, Sunny found his love for jazz and embarked on a career in jazz piano. Pursuing a degree in music as a jazz pianist but also wanting to learn to sing like Frank Sinatra, he took voice lessons while in college. His teacher quickly persuaded him to study classical technique, opening the door to the world of opera. After experiencing singing in the chorus for a season with Pacific Opera Victoria, Sunny was convinced that it is the ultimate art form and set out on his operatic career which has seen him around the world working with teachers such as Peter Barcza, Heather Thompson, Virginia Zeani, Montserrat Caballé, Daniel Okulitch, and with his late mentor, tenor Melvyn Poll. Sunny’s career has given him the opportunity to perform in many concerts singing arias and ensembles, symphonic works such as Beethoven’s 9th Symphony, Handel’s Messiah and Mendelssohn’s Elijah, as well as portraying many lead roles in operas including Carmen, La Bohème, Don Giovanni, Falstaff, Die Fledermaus, Die Lustige Witwe, and Rusalka, in Vancouver, Seattle, Montreal, Madrid and touring in the Czech Republic. Sunny recently debuted as the title role in Offenbach’s Les Contes d’Hoffmann with Opera Opulenza in Vancouver, and reprised the role of the Prince in Rusalka in a concert production in Vancouver with acclaimed coach and pianist Luke Housner from the prestigious Academy of Vocal Arts in Philadelphia. Heralded for her “clear vibrant tone” (Opera Canada), Tamar Simon is an emerging Armenian-Canadian soprano embarking on a promising opera career. Based in Vancouver, Canada, Tamar was recently engaged with the Vancouver Opera Festival as the soprano soloist for their New Works Project. She also has sung with the Vancouver Symphony Orchestra as Valencienne in their Look of Love concert and with White Rock Concerts as Musetta in their production of La Bohème. In 2018, she also performed the role of Rosina in Burnaby Lyric Opera’s mainstage production of Il barbiere di Siviglia. Tamar was a District Winner of the Metropolitan Opera National Council Auditions in 2016. She is a graduate of University of British Columbia’s Master of Music program in opera performance, studying under Patrick Raftery and Nancy Hermiston. At UBC, she performed many leading roles, most notably the role of Susanna in Mozart’s Le nozze di Figaro where she was described as “believable and engaging Susanna, passing from innocence to subtlety to assertion, always in control and always the unrecognized protagonist” (Opera Canada). She was also seen as Tytania in Benjamin Britten’s A Midsummer Night’s Dream, Ciboletta in Eine Nacht in Venedig, and The Foreign Woman in The Consul. 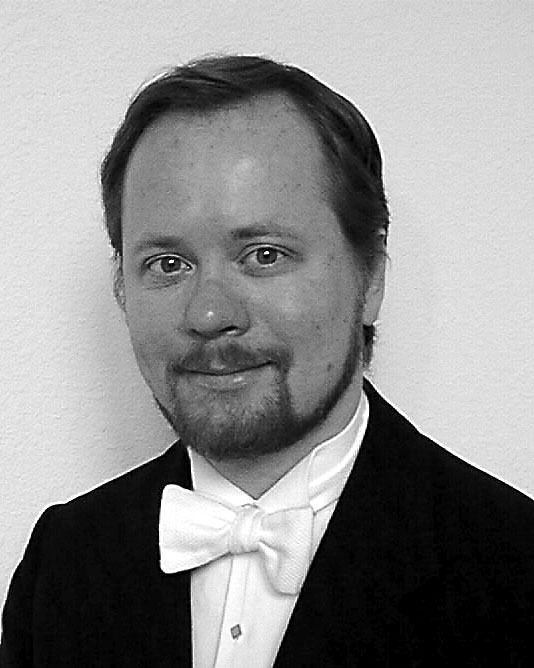 Pavol Simoncic, baritone, has an international reputation as a singer, choir director, and educator. Currently he directs the Vancouver-based Greater Moravia Choir, and has led the ensemble at festivals such as the European Festival and the Slavic Festival. Before settling in Vancouver, Pavol performed regularly with the Slovak Philharmonic Chorus, as well as the Slovak National Theatre Opera Chorus, rehearsing under the respective batons of Claudio Abbado, Zubin Mehta, Seiji Ozawa, James Conlon, Serge Baudo, and Lorin Maazel. He holds a Masters Degree in Music Education. Canadian soprano Jessica Türje brings a beauty and depth to the music she sings, which is expressed through her rich and vibrant vocal quality. Her understanding of technique affords her the ability to communicate with musical honesty and ease. She seeks an intimate understanding of the worlds of text and sound behind the repertoire she sings, an understanding that she continually cultivates. Jessica is a strong collaborator who enjoys exploring the joys of music with other musicians, whether in the concerted effort required for operatic works, or in the intimate collaboration on art song. All of these pursuits enable Jessica to continue refining her understanding of the craft of singing, a craft that she is devoted to promoting and sharing. Jessica began her musical journey in Vancouver. She started her post-secondary studies at the University of British Columbia and pursued further musical studies by completing her Bachelor of Music degree at the University of Toronto. Jessica made her professional debut as Madame Herz in W.A. Mozart’s ‘The Impresario’ in 2012, and has also performed with Toronto based opera company Opera5 and covered the role of the Countess Almaviva in the Vancouver Summer Opera Studio production of W.A. Mozart’s ‘Le Nozze di Figaro’. In Calgary, Jessica was featured by the Scandinavian Society of Calgary in a performance of works by Edward Grieg. Through the 2014 Kiwanis Music Festival, she went on to be heard in the Stars of the Calgary Kiwanis Music Festival. As a result of her success Jessica was recommended to represent Alberta in the National Music Competition that year. In the summer of 2015 Jessica was awarded a full scholarship to participate and perform in the Mountain View International Festival of Song and Chamber Music, where she worked extensively with world-renowned clinician and chamber musician Rudolf Jansen. In November 2015, Jessica performed with the Calgary Arts Orchestra, and premiered an arrangement of Alexia Louie’s aria Berceuse from The Scarlett Princess. Jessica also performed several fundraising concerts for local fundraising efforts in Calgary. In the early spring of 2016, Jessica participated and won her category in NATS Calgary Chapter and later won the NATSAA Intermountain Region Competition, performing in the University of Calgary’s Rosza Centre. Jessica spent her summer of 2016 training in Baden bei Wien, Austria at the Franz Schubert Institute working with world class master teachers and coaches on a variety of Lieder. Jessica is currently living in Vancouver, B.C preparing for a recital with pianist Mary Castello and a performance in December with the Mountain View Winter Festival.